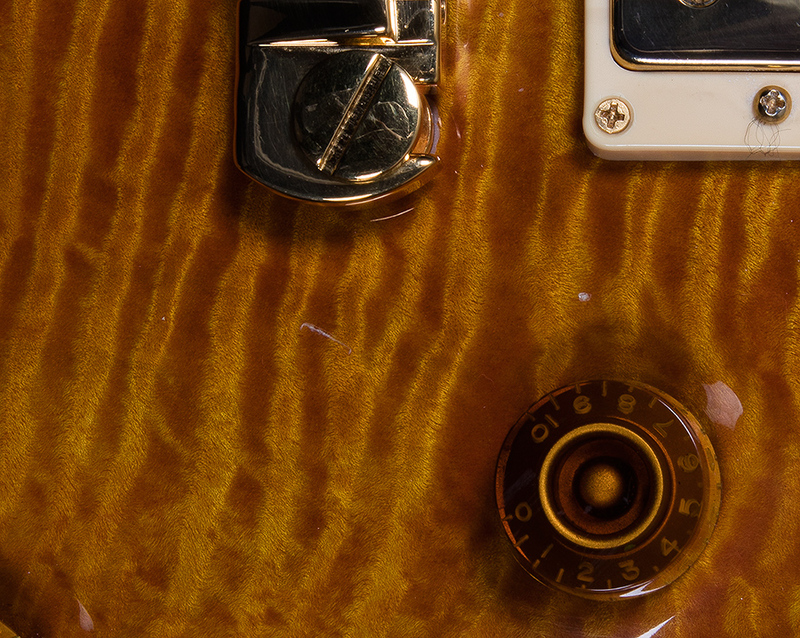 Your tenth anniversary is a big deal, and this PRS is a fitting gift from his team to the guitar-playing public! It's certainly pretty enough to make you cry, and it sounds good enough to give you a perma-grin! Its in a class of its own when it comes to resonance and liveliness, and its touch-sensitivity makes it feel like an extension of your hand. There's a clear smack in the low-end, and the mids are as wide as the Nebraska prairie and as dense as a brick of gold. The highs sound so sweet that digging into the note with your right hand feels like biting into a expensive chocolate truffle! Wildwood Guitars is proud to present Paul Reed Smith's anniversary gift to his customers, and we know it will bring you many years of happiness and inspiration! 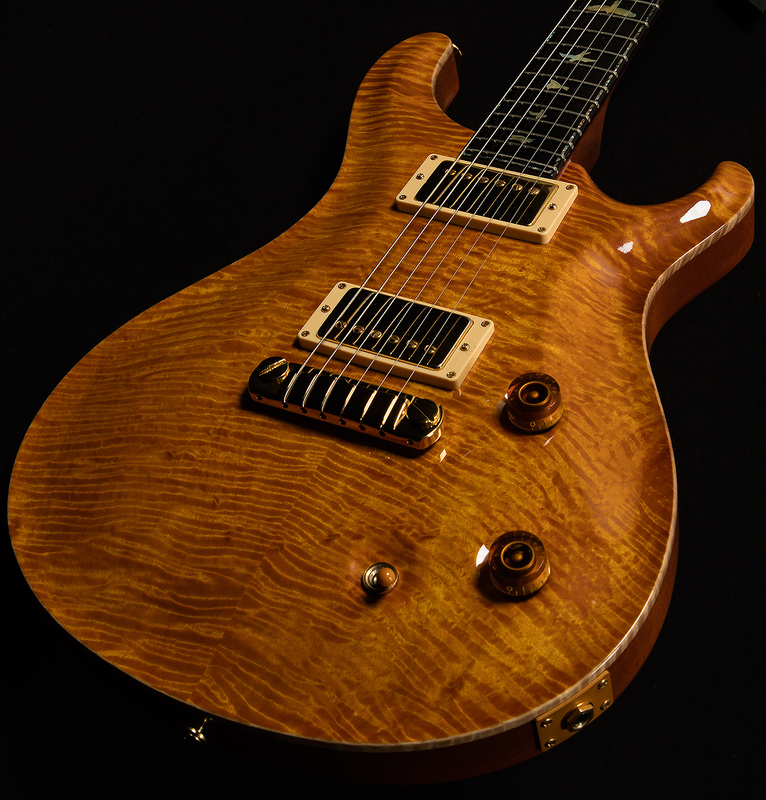 This stunning PRS is in excellent condition. There is some light fret wear, but they have lots of life left in them. 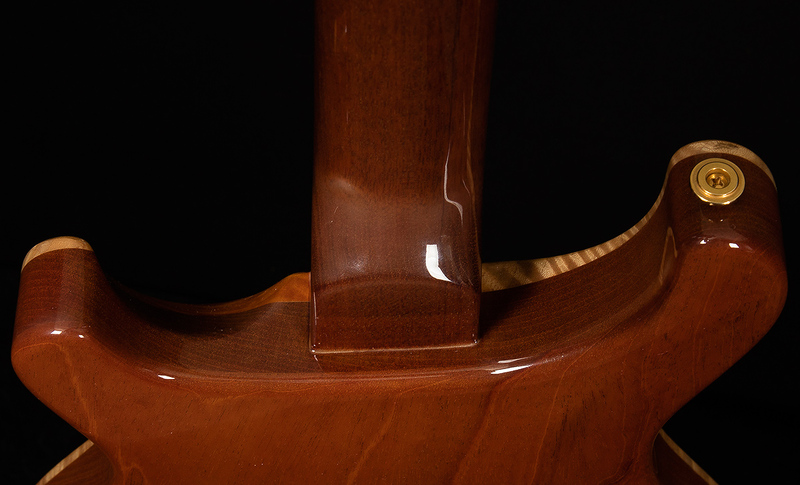 There's some cloudiness in the finish around the neck joint, and there are a few large dings on the back and some smaller dings on the top. Also, it comes with a free hardshell case!